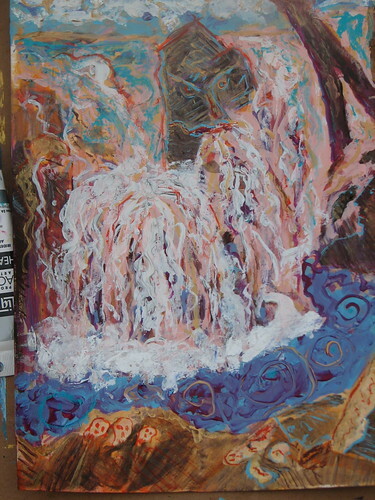 Spent several hours at the waterfall in Wadhams painting the waterfall under the instruction of artist Kevin Raines. The painting went tiki-god on me when I got home and finished it. The rock needed a face.